On the way back to Fort Dawnguard, J’Zhirr is attacked by two vampire scouts in the Dayspring Canyon. With Serana’s help, J’Zhirr soon make short work of them. This one wonders if the appearance of the scouts mean that Fort Dawnguard is under attack. As this one nears the fort, he sees a welcoming sight. 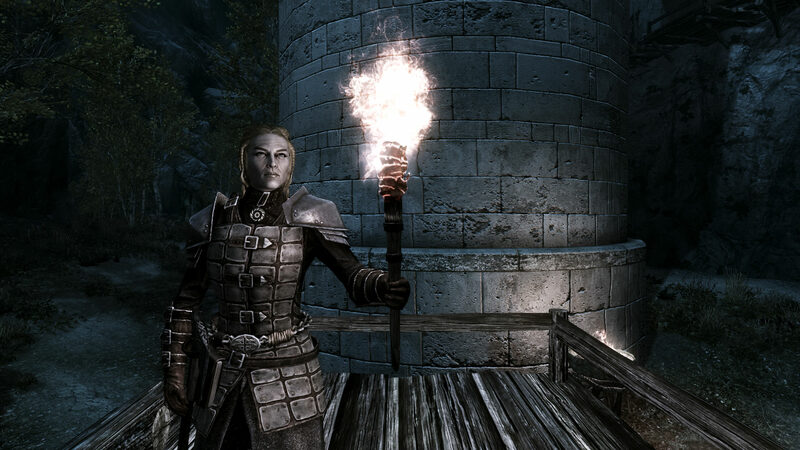 Tilde stands guard at the gates, holding a brightly burning torch.